Meet BeeBee! 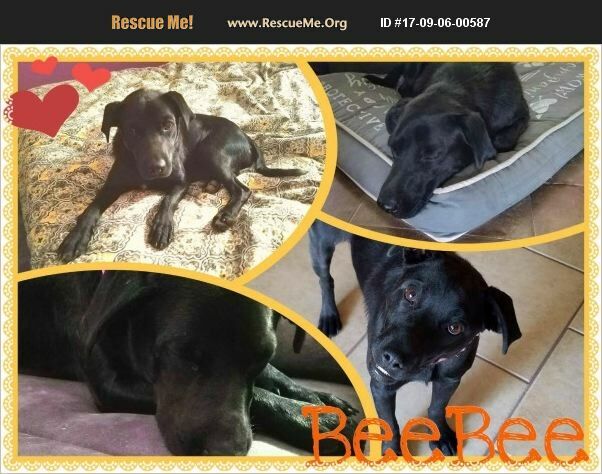 BeeBee is a very sweet 1 year old lab mix who has come from a difficult past. She is timid with new people especially men, but will warm up to them as long as they respect her pace. BeeBee is crate trained but will panic if the crate is used for punishment or there is confusion. BeeBee is looking for a home that will nurture her and love her back from her past. She needs patience and understanding. She IS only a year old so she still exhibits puppy tendencies such as chewing, so appropriate diversions will be needed and a home that is 'child proofed'. The payback for all this? BeeBee is full of love for her people! She is such a little character! She will bring a smile to your face daily! BeeBee is pottie trained, vaccinated, and spayed.